Faberge eggs have been a source of delight and intrigue since the first one was created for Czar Alexander’s wife in 1815. Each of these spectacular Easter gifts housed hidden surprises ranging from bejewelled miniature replicas to a singing bird in a gilded cage. 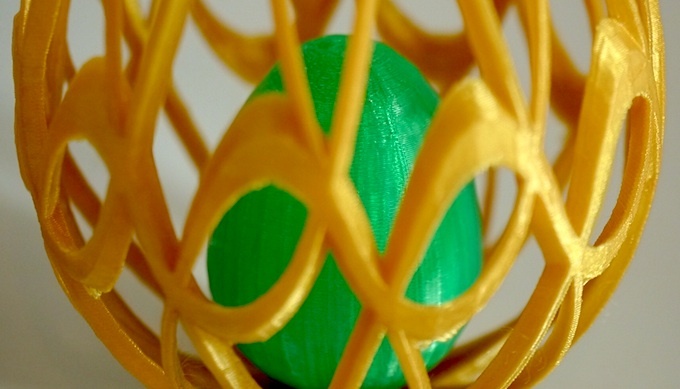 Inspired by the Faberge legacy we are running a competition to find the most inspiring and surprising 3D printed Easter egg. Like Faberge, you have complete freedom in the design of your egg, with the only prerequisite being that there has to be surprise within each creation. You can design your egg from scratch or re-mix existing designs or simply hunt though Thingiverse for the most crazy/brilliant/lovely thing to put in an egg. We don’t mind. Two prizes are up for grabs: (1) Best Technical Interpretation, and (2) Most Creative Interpretation. Each winner gets £50 to spend on Faberdashery filament and big love from us! To enter, simply upload your design to Thingiverse with the tags ‘Faberdashery’ and ‘Faberge’ by 12:00 GMT Tuesday 2nd April, so get your wiggle on! We will announce the winners on Friday 5th. Legal stuff: The prize is non-transferable and cannot be redeemed for a cash sum. Vouchers will be provided which can be used to purchase Faberdashery filament through the Faberdashery website store to the sum of £50. Vouchers must be spent in a single transaction and cannot be redeemed across a series of separate purchases. Vouchers are valid for a year from the date of issue. Credit: Design- Customizable Easter Artistic Eggs by Joe Stubbs. MakieLab, the have just launched their iPad app. The pioneering London-based doll and games company, utilises 3D printing technology to offer customisable action dolls. 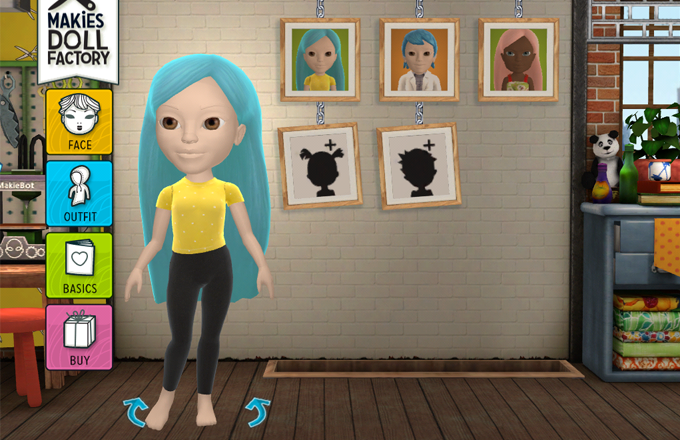 Now their ‘Makies Doll Factory’ app allows you to create you own unique 3D printed figure from the comfort of your iPad. As you’d expect from MakieLab, it’s beautifully simple with great attention to detail plus a few quirky characteristics. The launch of this app is another landmark in the trend towards accessible 3D content creation. As 3D printing technology becomes more pervasive, we’re seeing the emergence of tools that engage with people in a far more immersive way. The new genre of easy to use, low cost (/ free) 3D content creation tools opens 3D printing technology to a wider audience of enthusiastic non-specialists.